The hubs is a goodly bit Irish. His mum is a McNamara, his grandmum a Lamb, and so on. Besides, who doesn’t love a good excuse to celebrate with food, friends, and er….libations? 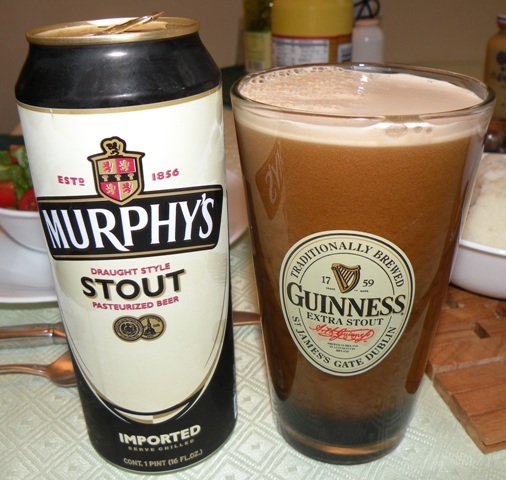 Our St. Pat’s dinner, which was limited in number to the two of us, looked like this…Hubs doesn’t prefer corned beef, so…. 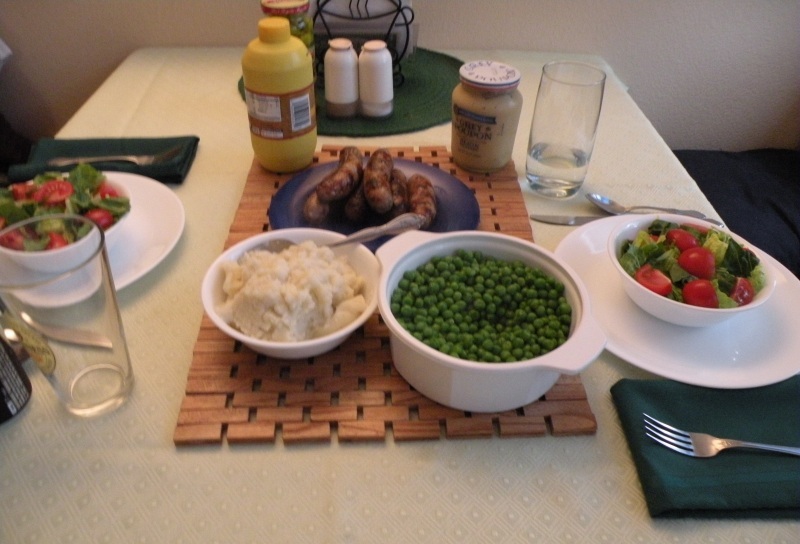 Irish Bangers, mashies, and peas! 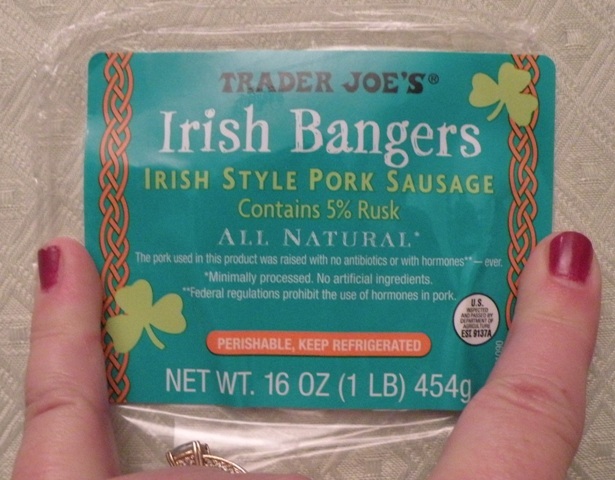 I got the bangers at Trader Joes…love having one so close now! After dinner it was time for Knit night! I made some green cupcakes…which I totally forgot to photograph…maybe tomorrow, if any remain? I’d love to know how you celebrate, or IF you do so at all. I’m not Catholic, but I think Patrick did some good things, so I’m all in for the fun. Hrmph. We were served a VERY dry pork loin roast with mashies, corn, broccoli and tomatoes. 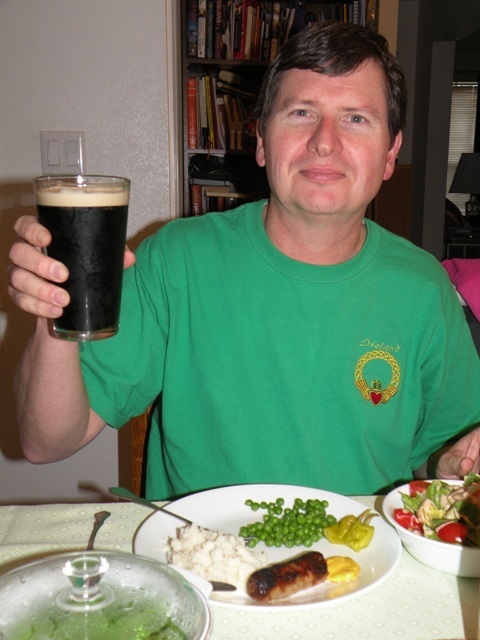 Next year, I’m having corned beef and cabbage if I have to dine alone! Oh dear! That’s just NOT right! A rusk is a hard, dry biscuit or a twice-baked bread. It is sometimes used as a baby teething food. In the UK, the name also refers to a wheat based food additive.